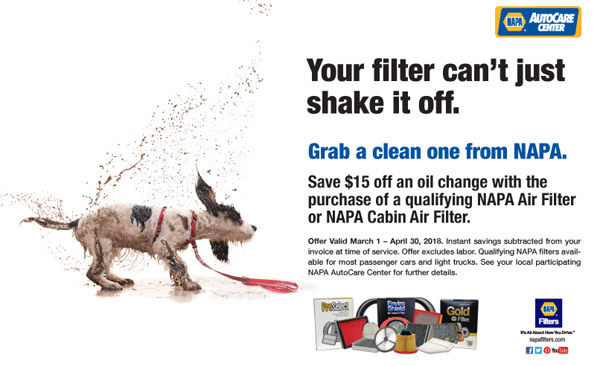 Save $15 off an oil change when you purchase a NAPA Air Filter or Cabin Filter from Mike’s Service Center. Offer valid March 1, 2018 – April 30, 2018. Get up to a $20 Prepaid Visa Gift Card when you purchase qualifying batteries from Mike’s Service Center. Offer ends February 28, 2018. Call to make an appointment or stop by the shop. 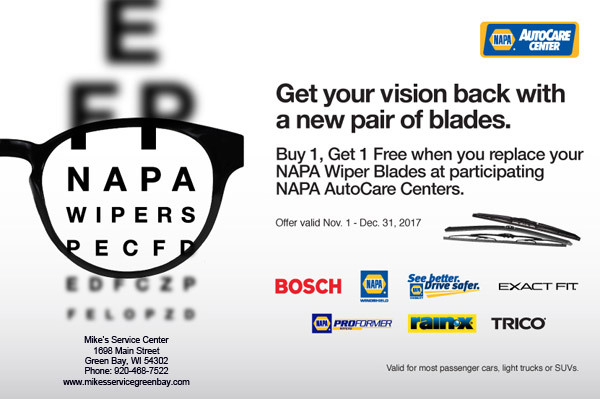 Buy 1, Get 1 Free on NAPA Wiper Blades purchased from Mike’s Service Center. Offer ends December 31, 2017. 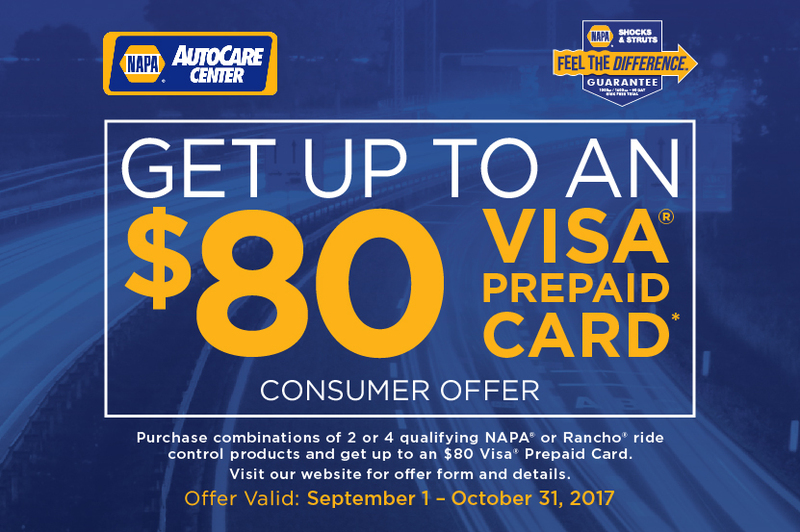 Get up to an $80 Visa Prepaid Card when you purchase combinations of 2 or 4 NAPA or Rancho ride control products, including shocks and struts from Mike’s Service Center. Offer ends October 31, 2017. 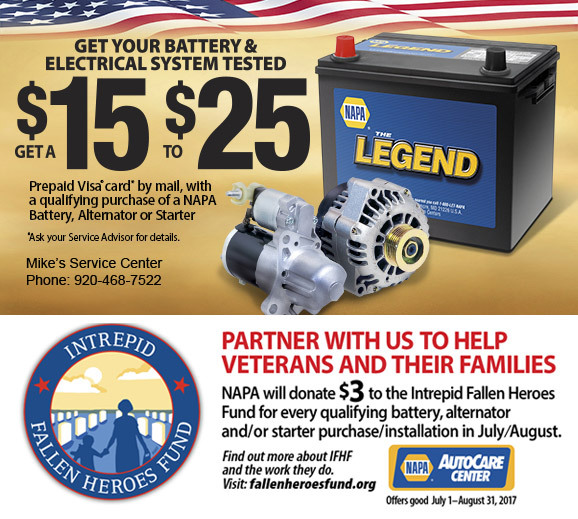 Get a $15-$25 rebate with a qualifying purchase of a NAPA battery, alternator or starter brakes from Mike’s Service Center. Offer ends August 31, 2017. Call to make an appointment, or stop in to the shop.